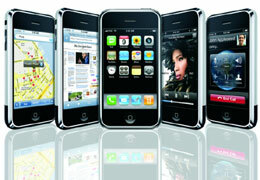 Apple just released a new update for the iPhone OS (operating system) which is 3.1.2. The previous iPhone OS was 3.1, which most of you probably have if you’ve been keeping your iPhone up to date. And certainly you should have at least iPhone OS 3.0 which was required to run the latest Facebook 3.0 iPhone App. To update your iPhone, or iPod touch, just hook up to iTunes, click your device, and you should then see the update available. Follow the prompts to get updated.